I fancy a fish finger sandwich. But not frozen fish fingers on crappy white sandwich bread. No: I fancy an over-the-top artisan one. 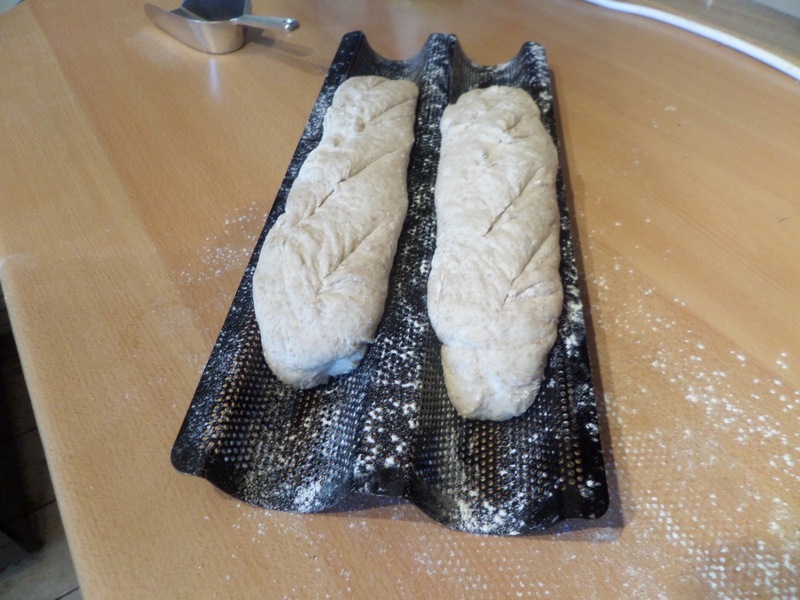 So I’m making sourdough baguettes, we’re baking our own fish fingers from this Cook’s Country recipe, but using up some frozen sourdough breadcrumbs rather than using panko, and making our own tartar sauce from this Cook The Perfect recipe. 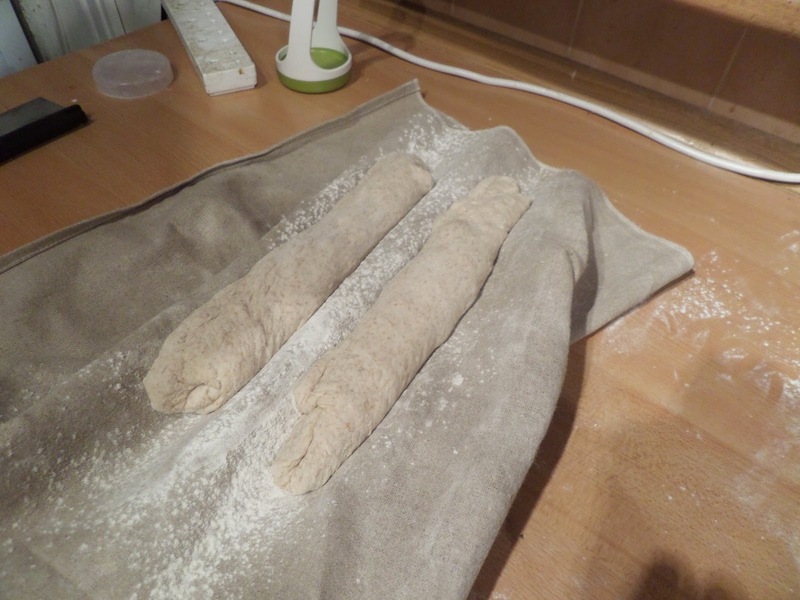 For the baguettes I proofed them overnight in the fridge before prepping them for baking. Taking a tip form the sourdough loaf I decided not to spray them directly with water. However as they’re only tented with disposable roasting tins I added some steam by adding ice cubes to a pie tin in the bottom of the oven. After 15 minutes tented at full 230C fan temperature and 15 minutes untented at 200C fan they looked pretty good, so I’ll stick with the ice cube steaming method in future. 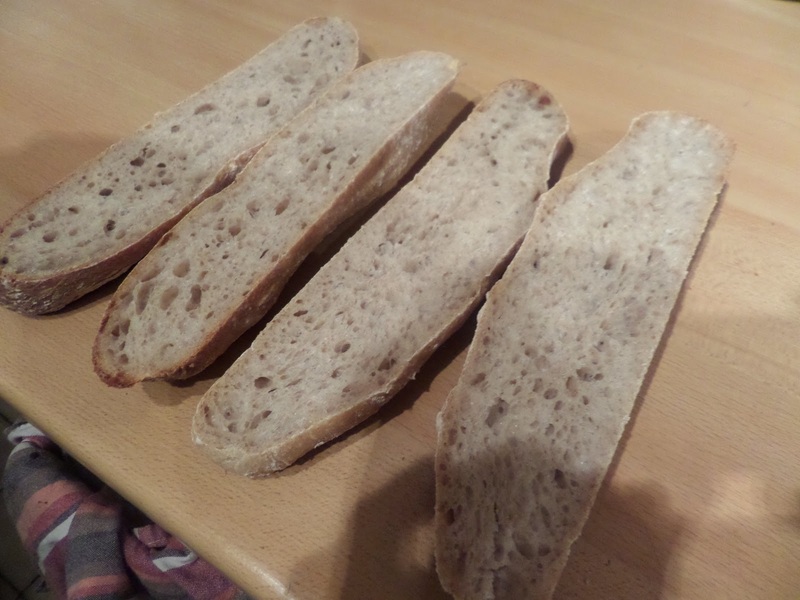 Later on we cut into them to check the crumb. The crumb was acceptable. Very acceptable. We then made the tartar sauce. 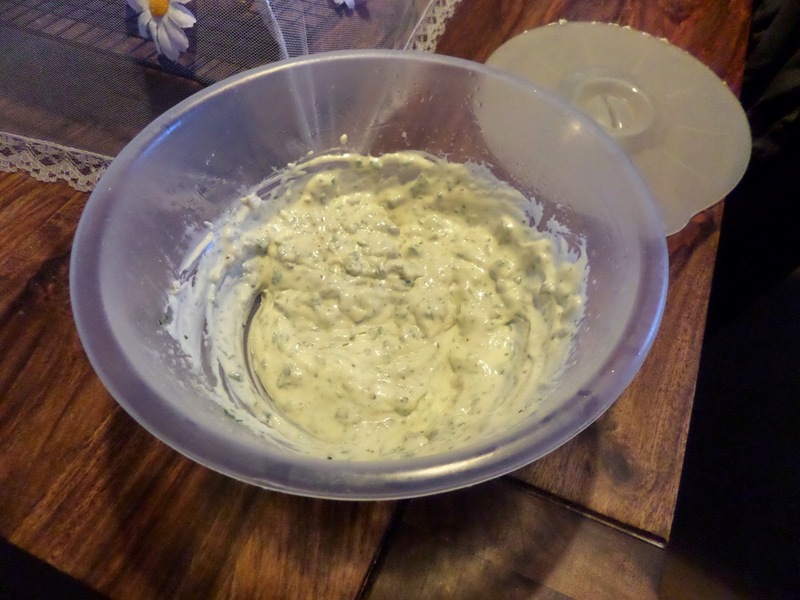 It took about half an hour to make the mayo part, then a few extra minutes to convert it into tartar. 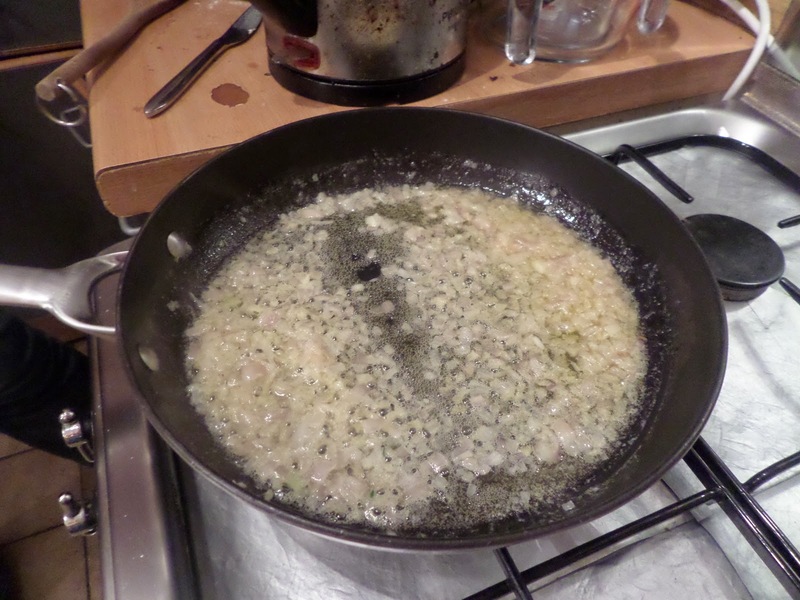 Then we fried up shallots in a huge amount of butter. 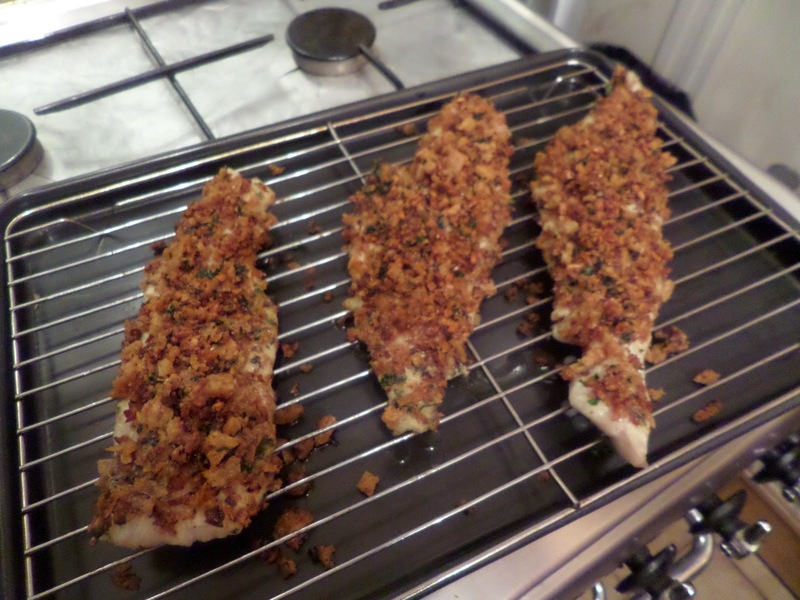 This had sourdough breadcrumbs added to it and fried until the breadcrumbs started turning colour and crisping up. After cooling it was stuck to the fish with mayo. 20 minutes in a low oven and it’s looking good! Then it’s all served up in the baguette. Making your own mayo, and turning into tartar sauce: totally worth it. 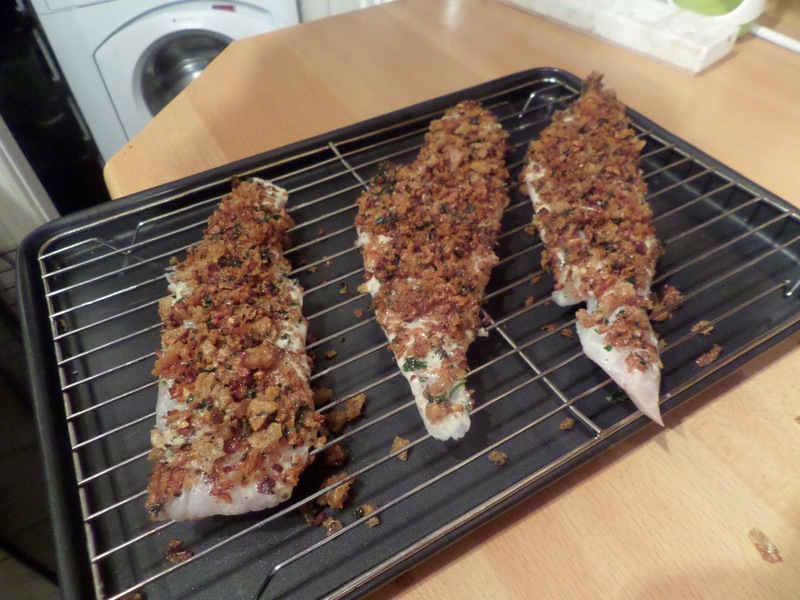 Using fish fillets and crumbing with sourdough breadcrumbs: totally worth it. 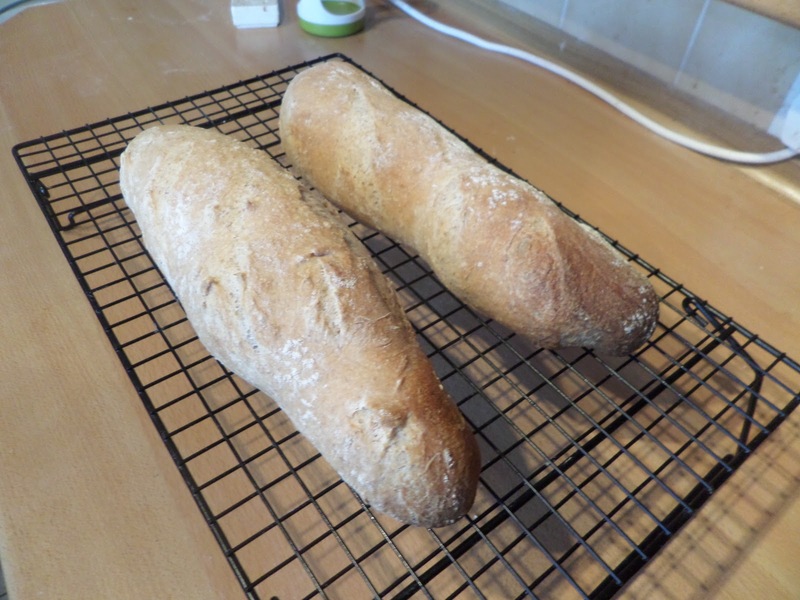 Serving on homemade sourdough baguettes: totally worth it. The only change I’d make it to warm the bread up before serving. In a normal fish finger sarnie the brea is heated by the fish fingers. 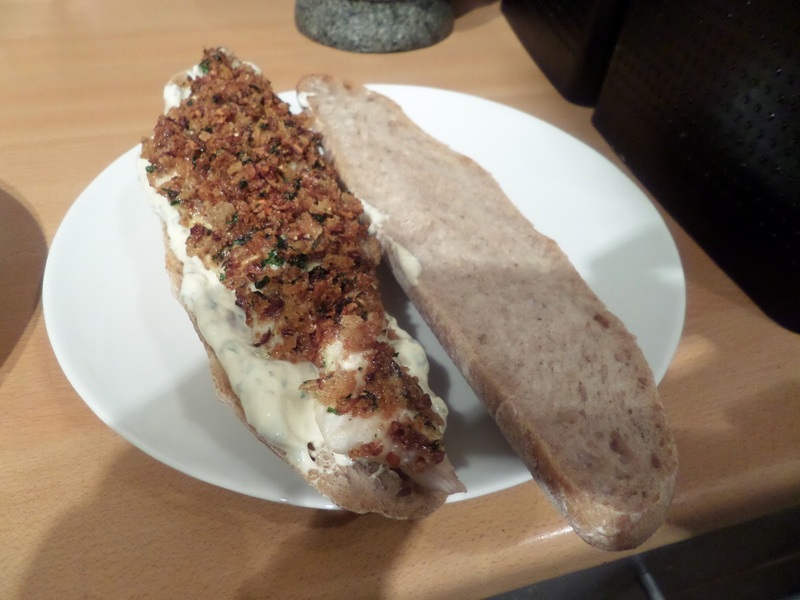 But with a baguette rather than cheap sliced bread, and huge amounts of tartar sauce, you don’t get that effect. Calling them fish finger sarnies isn’t nearly posh enough for this creation.